About Us - Kingpin Trailers LTD. 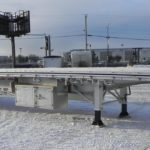 Kingpin Trailers LTD. supplies Western Canada with semi trailers from industry-leading brands that Canadians have come to trust. 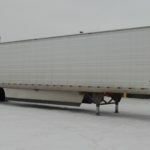 As an authorized dealer of Hyundai Translead, Mac Aluminum trailers, Trail King, and Doonan Specialized trailers, we offer an extensive selection of semi-trailers that can be customized to your company’s specific needs. While we proudly stand behind the products from front-running manufacturers like Hyundai, we also stand behind our customers. 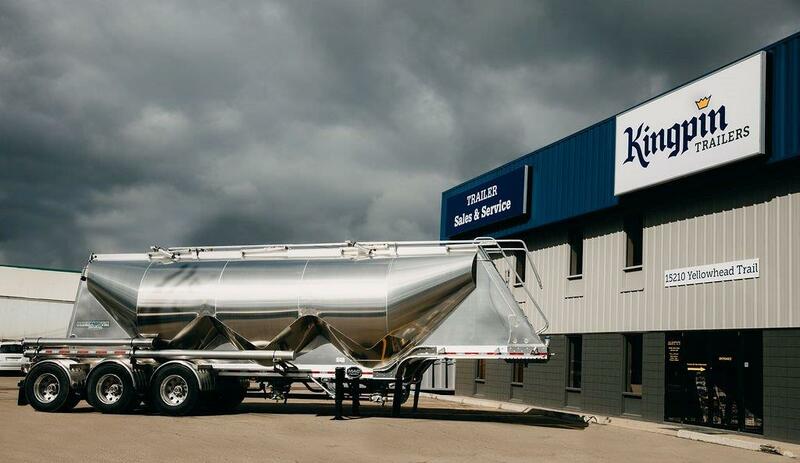 We didn’t always specialize in custom trailer solutions from the world’s leading brands; in fact, we began as a single full-service trailer shop and parts vendor in Edmonton, Alberta. Since opening our doors in 2009, our customers have helped us grow to where we are today. We have expanded and diversified our operations throughout western Canada to include Vancouver, Calgary, and Winnipeg. Whether you’re a small business owner or looking to upgrade your entire fleet, Kingpin’s industry-leading products, services and warranty are backed up with industry-leading customer satisfaction. Kingpin offers full-service trailer solutions across Western Canada to ensure that your equipment is repaired or serviced to manufacturer standards. Our licensed technicians are available in Alberta, Manitoba, and British Columbia and specialize in repairs, parts, certification, mobile services, and service. As Western Canada’s premiere authorized trailer dealer, you can rely on Kingpin Trailers for top-of-the-line products and professional customer service. For more information on our industry-leading products and professional service offerings, contact us today.